I love this app! It’s nice not getting unwanted spam calls. 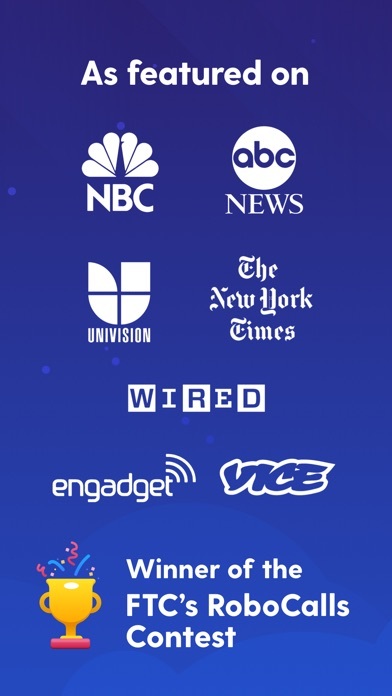 They market this app as “Free” but when you launch it, the first thing you have to do is pay for a membership. Much easier to just ignore the phone calls. 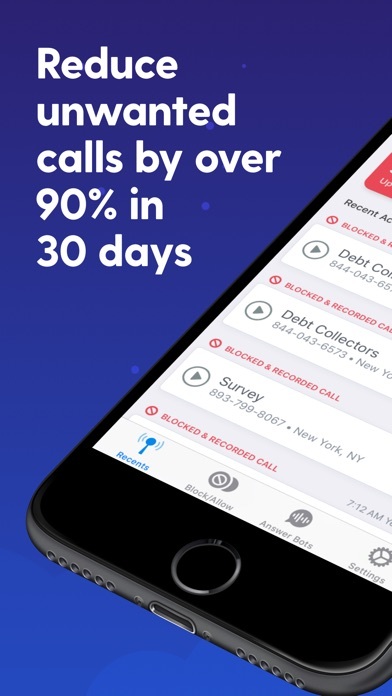 This app was blocking almost every single spam call for the first few months. I have had this app for a year. 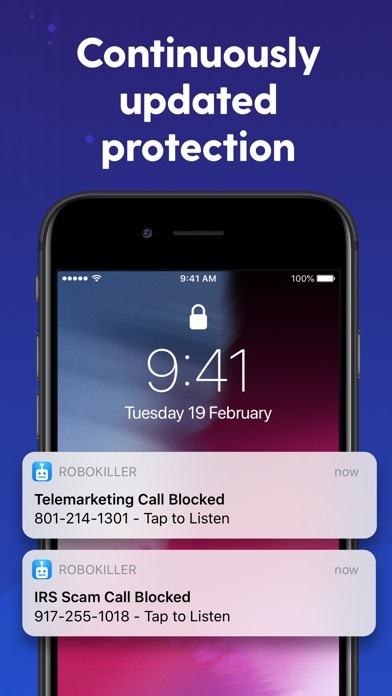 Now I get 6-7 spam calls a day, and RoboKiller only blocks one. 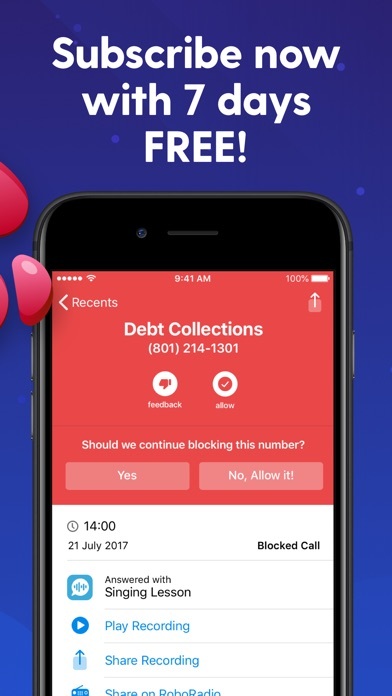 I keep going in to block the numbers, but I am not sure if this app is worth the money anymore. Maybe the spammers are getting smarter, and RoboKiller just can’t keep up. Will likely try a different spam blocker to see if I have better luck. I’ve had this app for almost 2 years. It used to work nearly flawlessly! I loved it. However the last several months I’ve been inundated with spam calls again! I’ve gone into RoboKiller multiple times making sure all my settings are turned on. It seems to not really work any more which is a shame. Would love to give it 5 stars. The calls are hilarious. I just listened to my first message. Recommended to all. 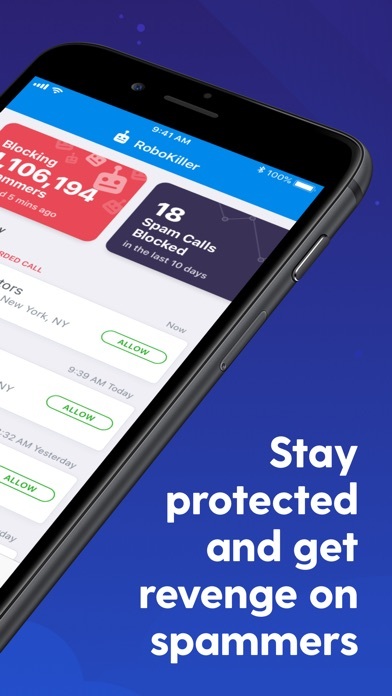 So this app literally only blocked spam bots, making for boring, uneventful recordings, until one day, when my family was in the middle of an emergency, it automatically blocked the local police department. Embarrassing. I tried to unsubscribe from the service, but you have to go through a long and complicated process to actually get it off your number. 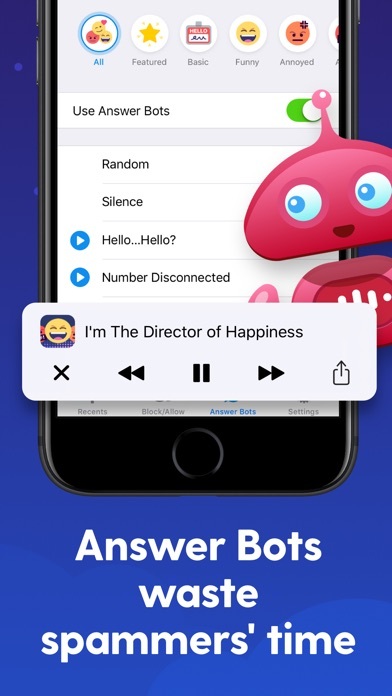 After this, I’m suddenly getting what seems like three times the spam bots, telemarketer calls, and unknown numbers that I was getting before downloading RoboKiller. Call me crazy, but I’m wondering if they’re giving out numbers of people who’ve unsubscribed to make past customers want to come back. It’s all about the f-ing money. I was right to be sketched out by this app from the start. Don’t download.